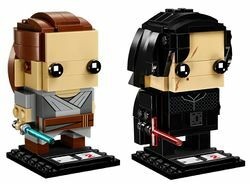 41489 Rey & Kylo Ren is a Star Wars BrickHeadz set released in 2017. 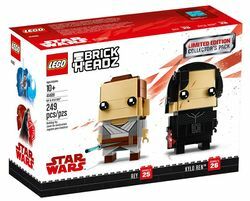 The set is a limited edition collector's pack, and contains Episode VIII BrickHeadz models of Rey and Kylo Ren. Facts about "41489 Rey & Kylo Ren"
This page was last edited on 9 February 2019, at 18:20.